The first 10 minutes after you wake up are the most influential time, as they set the tone for the whole day. It is important to have a mindful routine and ritual in place to ensure your mind and body are happy from the start. Choose a time to get up, and tell yourself that the snooze button isn’t even an option. The snooze button has a knock-on effect on your day, as not only does that extra 10 minutes not benefit our REM sleep cycle, but it causes stress and self-critical thoughts from the get-go. About 60% of your body is made of water, and after sleeping for 7-8 hours without water, your dehydrated body is practically begging to be replenished. Water aids mental functioning, which in turn has a positive impact on our cognitive performance and decision-making. So remember before you grab your morning cuppa, drink a big glass of water. Breakfast kick starts your metabolism, helping us to function more efficiently throughout the day. A healthy breakfast in the morning aids a healthy mind. 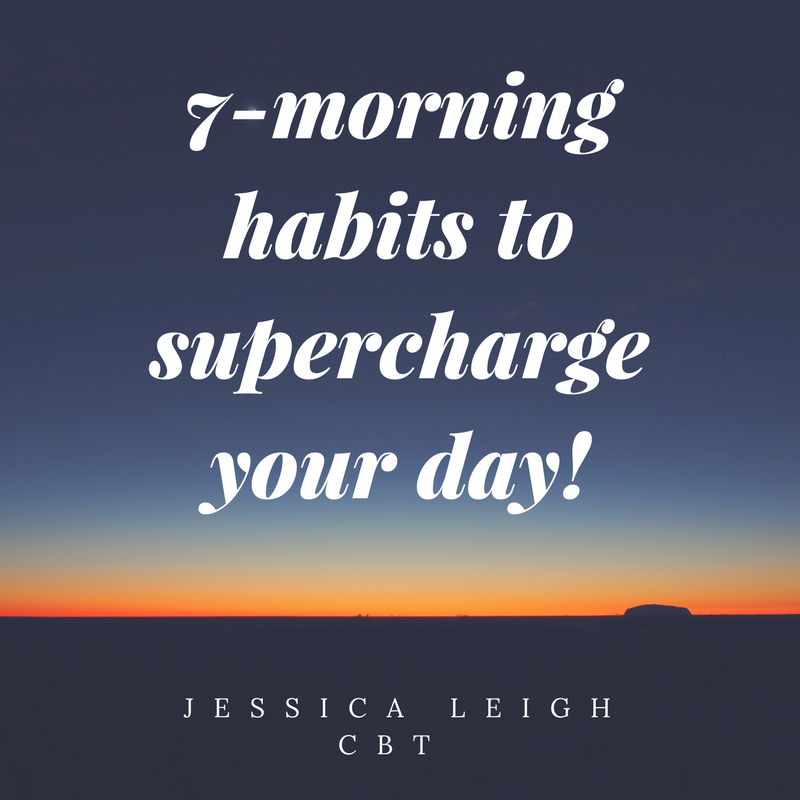 You may want to start your morning with upbeat music, or might prefer something calming and relaxing; whatever you choose, be sure it makes you feel good and charges your morning! Turn off your phone notification. It is proven that the blue light of your phone screens, releases cortisol, the stress hormone. Therefore, the more you’re on your phone, the more your body begins to sense stress, which isn’t the best start to the day! If you’re worried about emergencies just flip your phone to do not disturb mode, still allowing the people who need you to reach you. Write kind thing the night before and stick it to your bathroom mirror. Each morning read the affirmation aloud in front of the mirror, you would be surprised how much this can be beneficial to your mood and emotions, because we all need a little kindness, right? Set yourself the challenge this week, you might be surprised at the results!